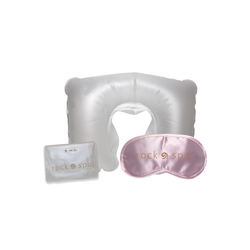 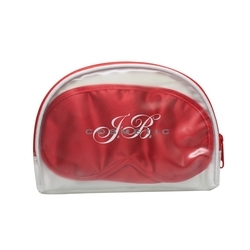 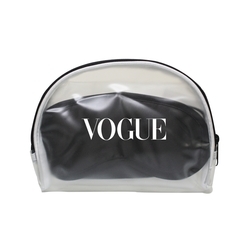 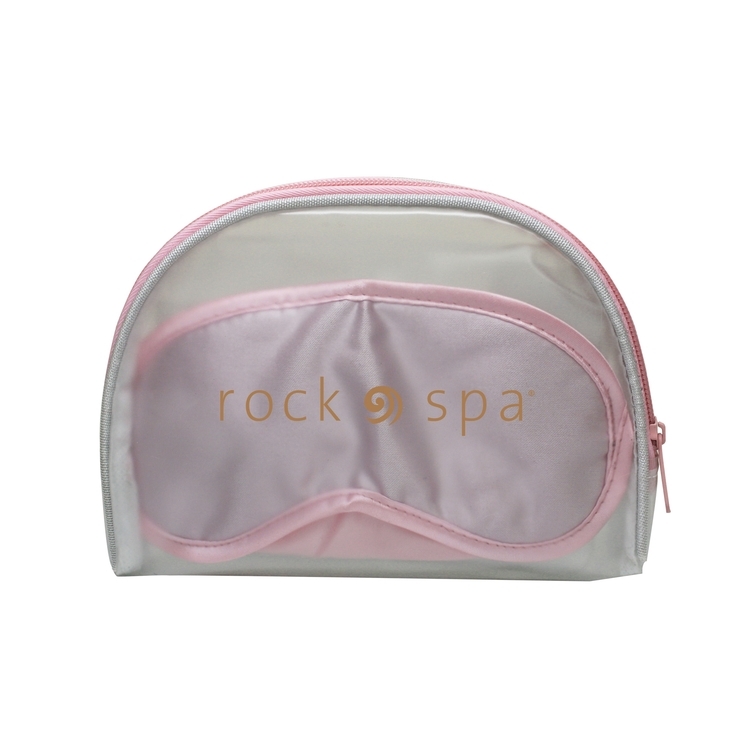 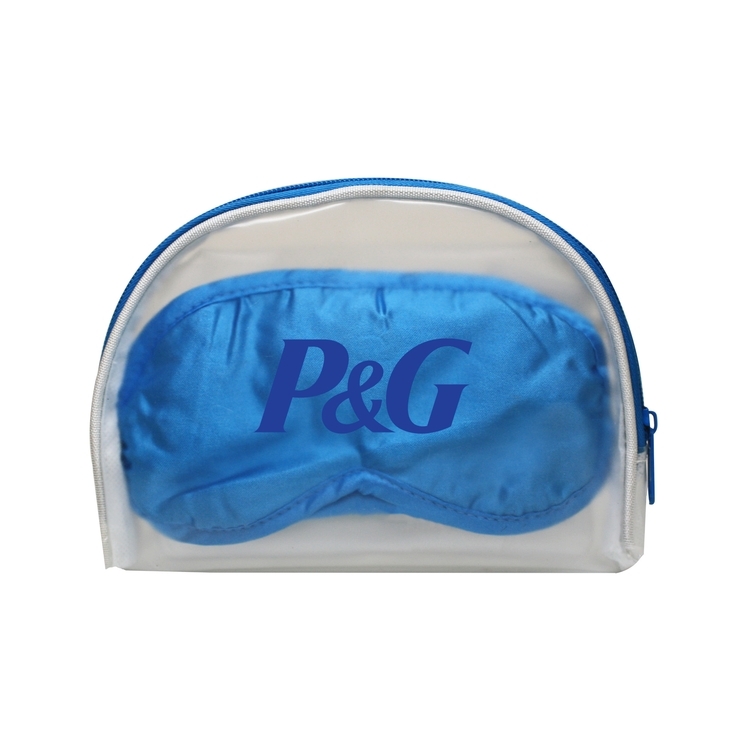 Satin eye mask and frosted inflatable neck pillow all packing in matching trim, semi-translucent zippered bag. Need more stuff? Feel free to add other items from our loose amenity collection, such as ear plugs, hand sanitizer, lotions, etc. We specialize in custom kits, so the options are endless. 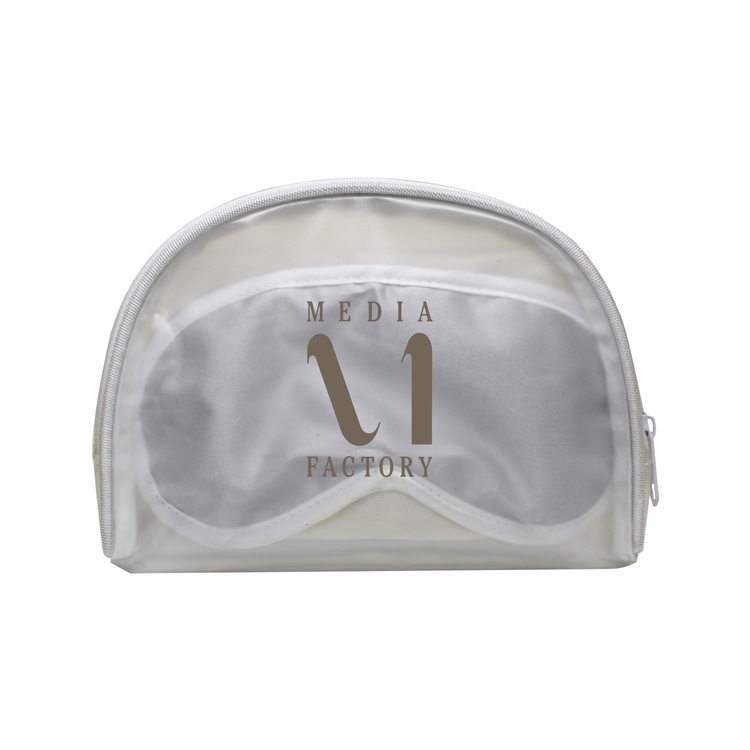 Contact our customer service center and we will help you build the perfect kit. W 7-1/2" X H 5-1/2"
Decorations: Pouch - W 4" x H 2"